"Lu Lu'" will grow up to be someone's very special milk goat. 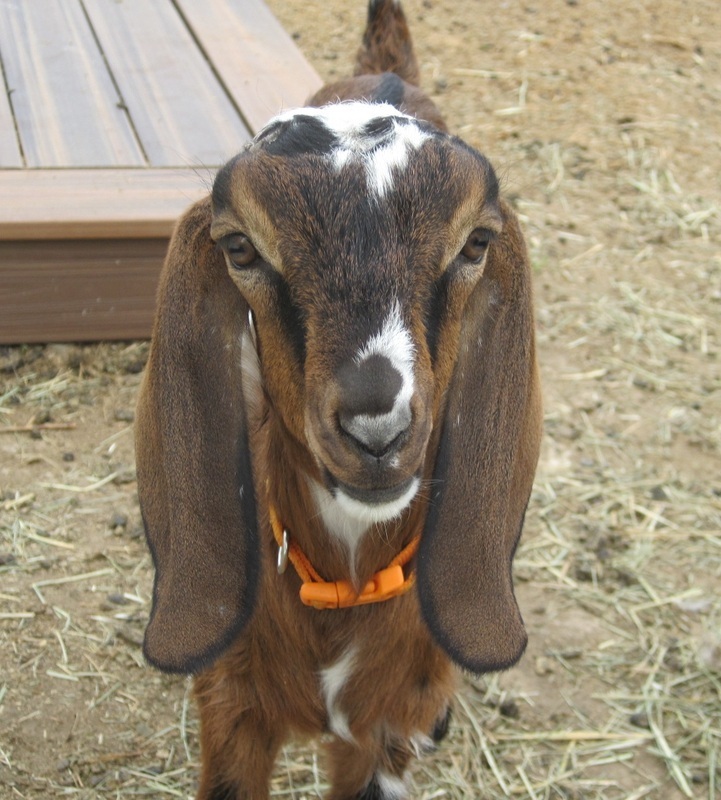 So what are Mini Nubians anyway? 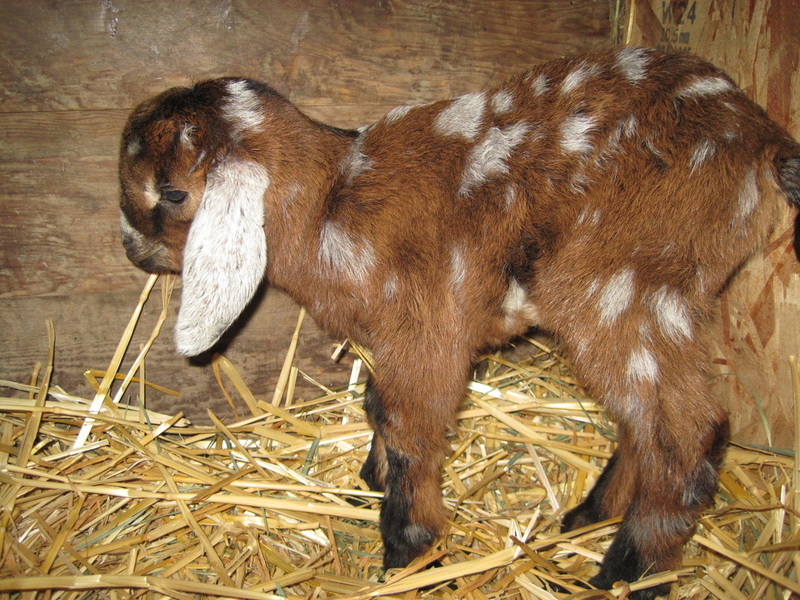 Miniature Nubians are a cross-bred goat. They were, and still are, developed by the crossing of two separate breeds of goat: the Nigerian Dwarf and the Standard Nubian. The goal of this crossing is to get a wonderful milk goat, easy to milk by hand or machine, that produces a large amount of high quality milk in a goat much smaller than the standard Nubian. 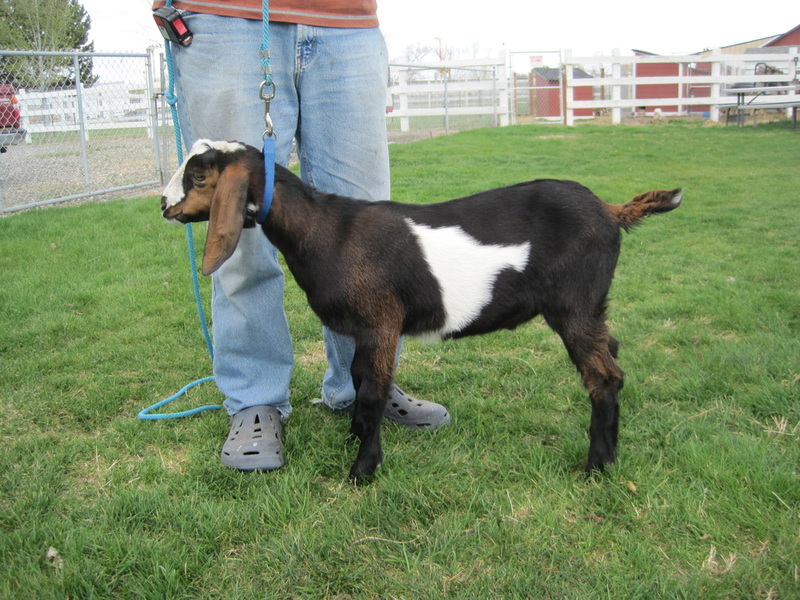 With generations of careful breeding, a smaller goat with Nubian characteristics and milk even richer and higher in butterfat, due to the Nigerian Dwarf influence has been developed. 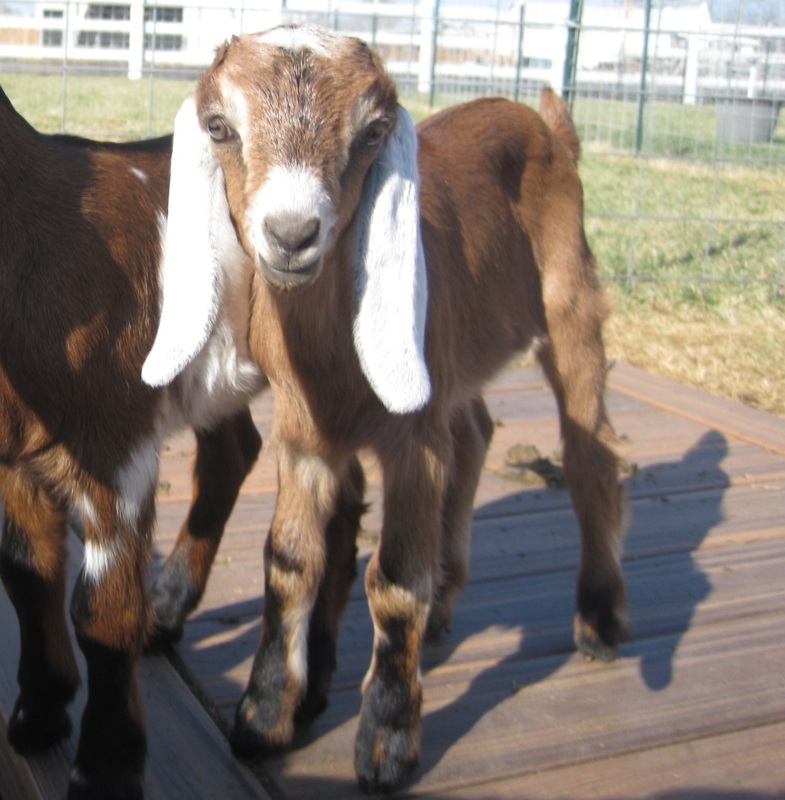 So remember, even though these goats can be registered with a miniature dairy goat registry, and can earn the title of "purebred," they are developed by taking the best of the Nigerian Dwarf and the best of the Standard Nubian to produce these wonderful little milkers. Peyton, 4th Gen buckling born on super Bowl Sunday! 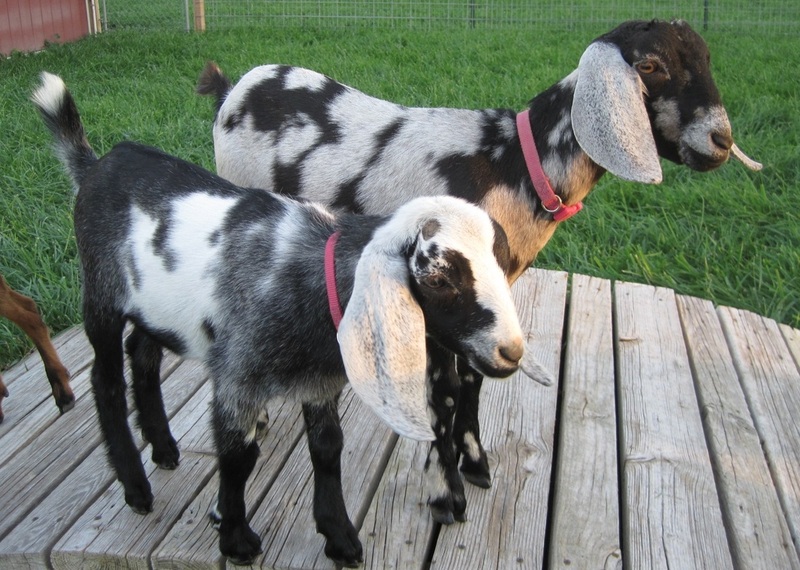 Mini Nubians come in a variety of colors.